Pakistan, officially the Islamic Republic of Pakistan, is a country located in South Asia. It has a 1,046 kilometre (650 mile) coastline along the Arabian Sea and Gulf of Oman in the south, and is bordered by Afghanistan and Iran in the west, the Republic of India in the east and the People's Republic of China in the far northeast. 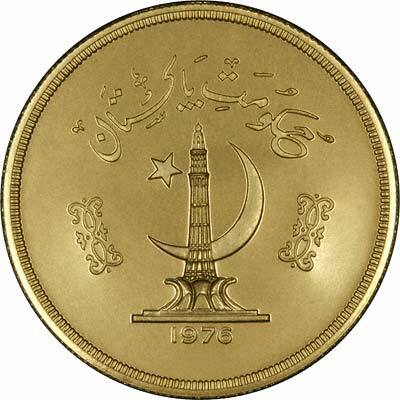 Pakistan only issued its own coins for the first time in 1976, and its gold coins are commemorative pieces. 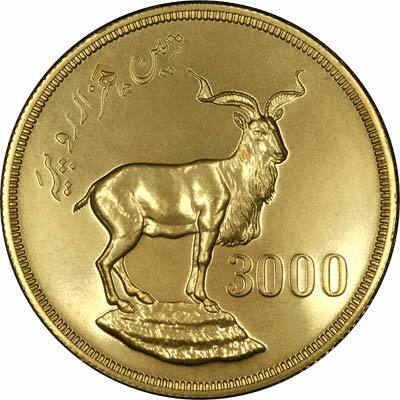 For silver and base metal coins of Pakistan, please look at our original Chard Coins website.